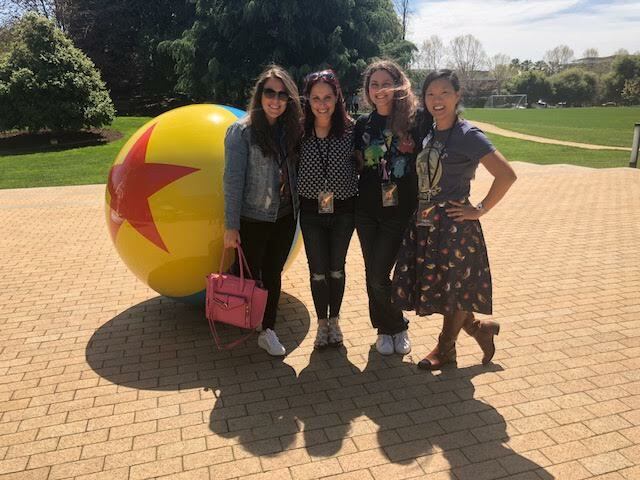 I went to Pixar for the INCREDIBLES 2! 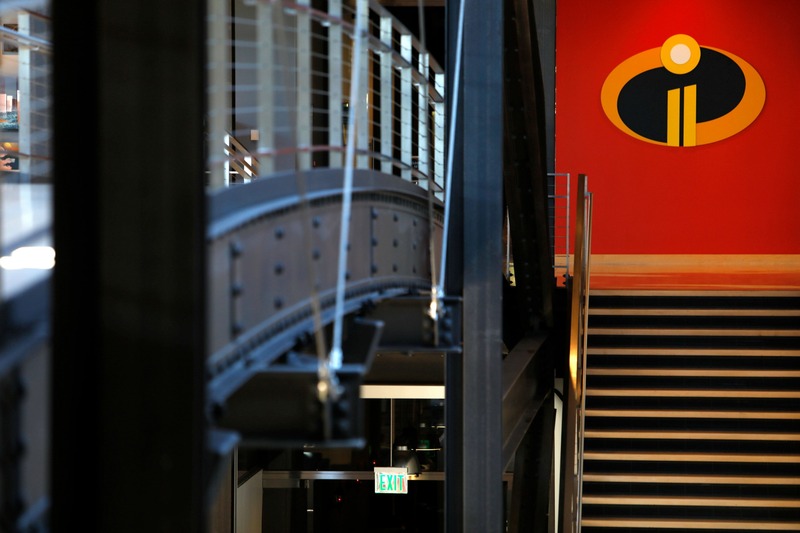 It has always been a dream of mine to visit Pixar in San Francisco. Since I first heard about Pixar movies, I was beyond intrigued how they put together these movies. 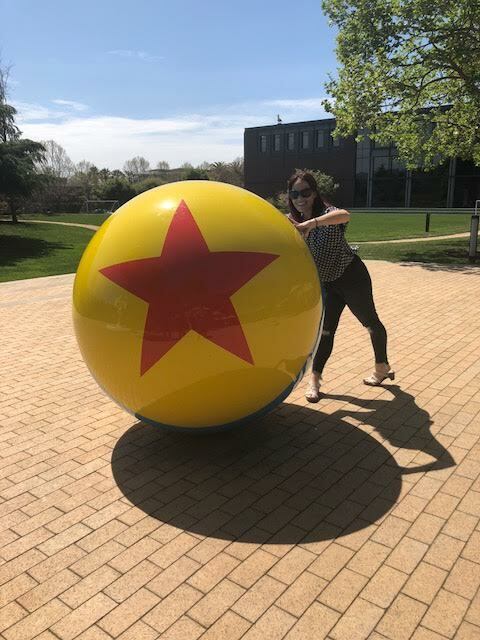 Well this dream became a reality when I visited Pixar a few weeks back. We arrived late at night for a 30 minute viewing of Incredibles 2. It was getting dark but we managed to all get some great pictures entering The Steve Jobs building. I pretty much gasped when I saw the big ball. That iconic Pixar ball is in every single movie start. 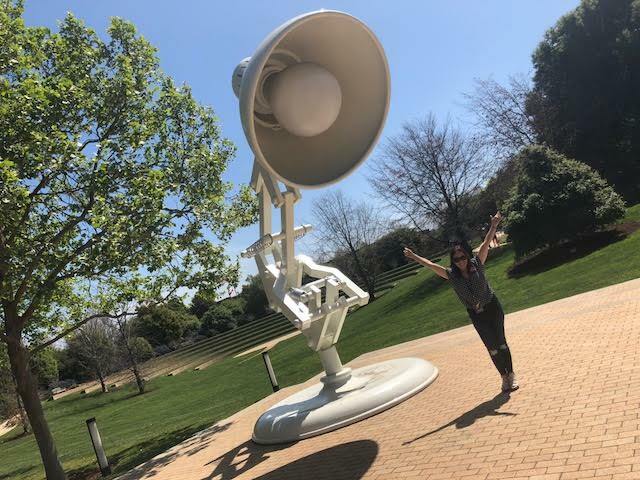 And then to see the Pixar iconic lamp was just simply AMAZING! 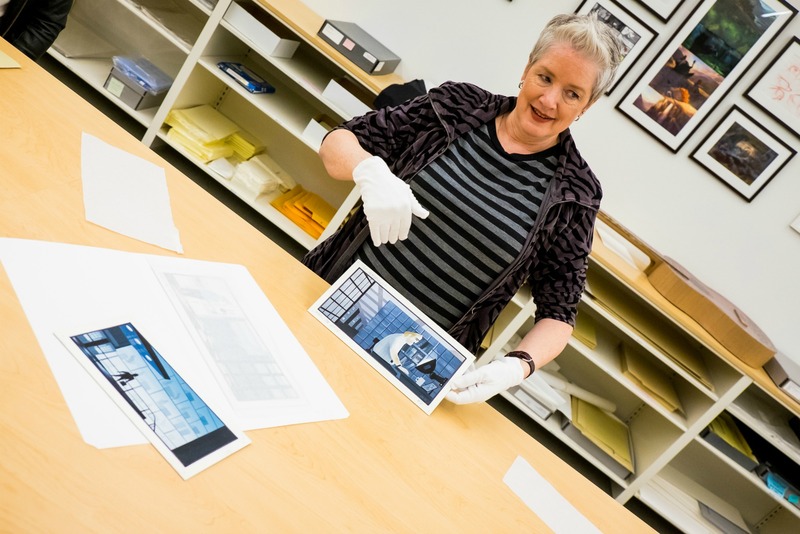 The next day we visited again and got a tour of both the building and then the Archives building. 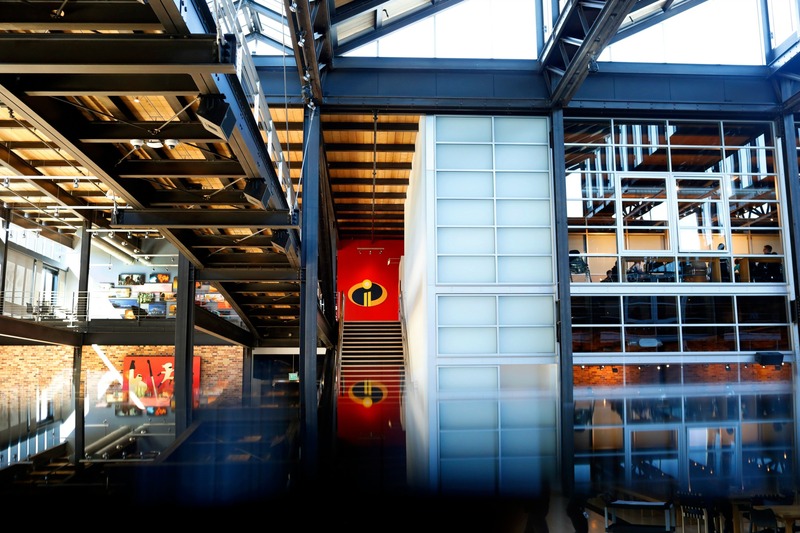 When you first enter the Pixar building, you will find the store, mail office, dining places, and in the back of the first floor you will find a big screening location with the most comfortable seats, where they told us they do screenings and have movies. On the top floor there is a lot of business offices all in an open set up. 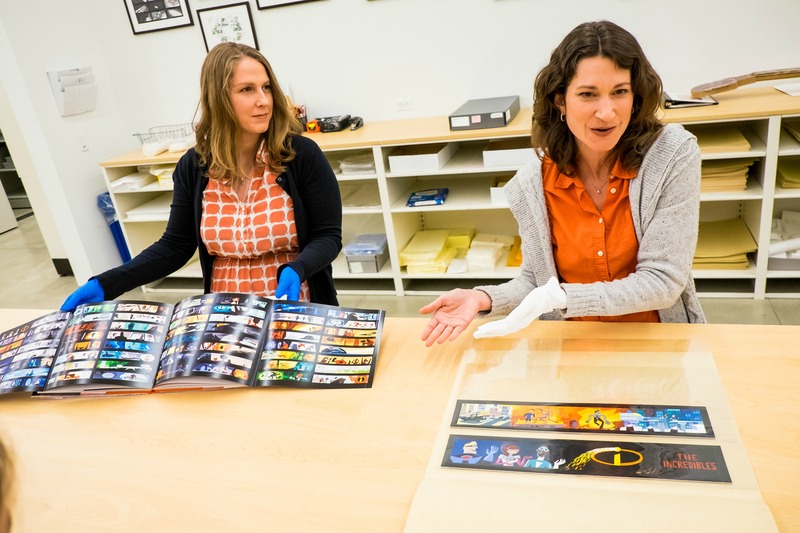 In one of these many rooms, we did a create a “Super” activity where we saw how to collage to conceptualize characters and their costumes by lead artists. 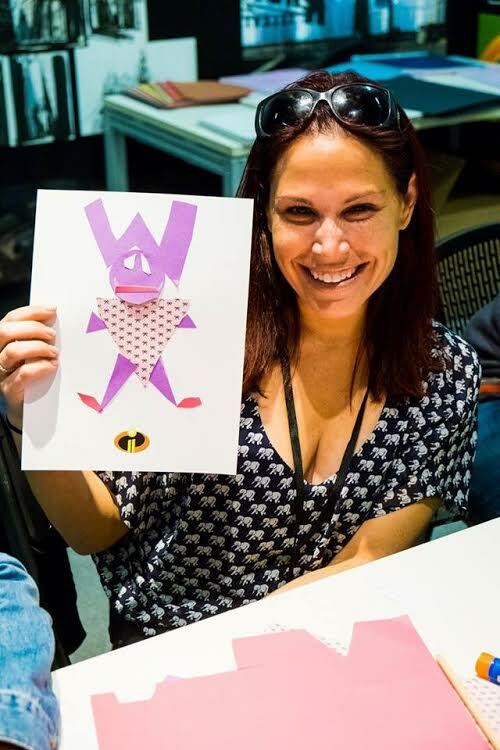 This was lead by Alonso Martinez and we had so much fun creating our character. Mine didn’t come out that great but I tried and most of all, had a blast! 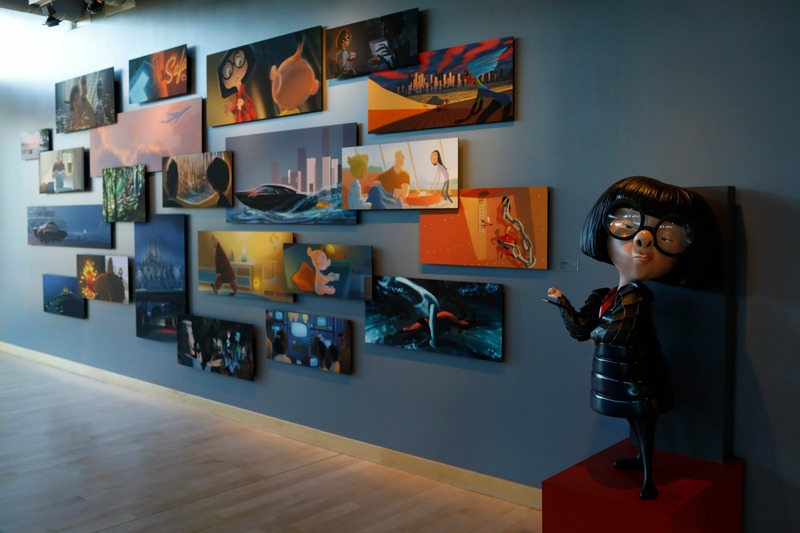 During that day, we had many interviews with various artists, animators, and producers who worked on Incredibles 2, which you will hear more about in the coming days. 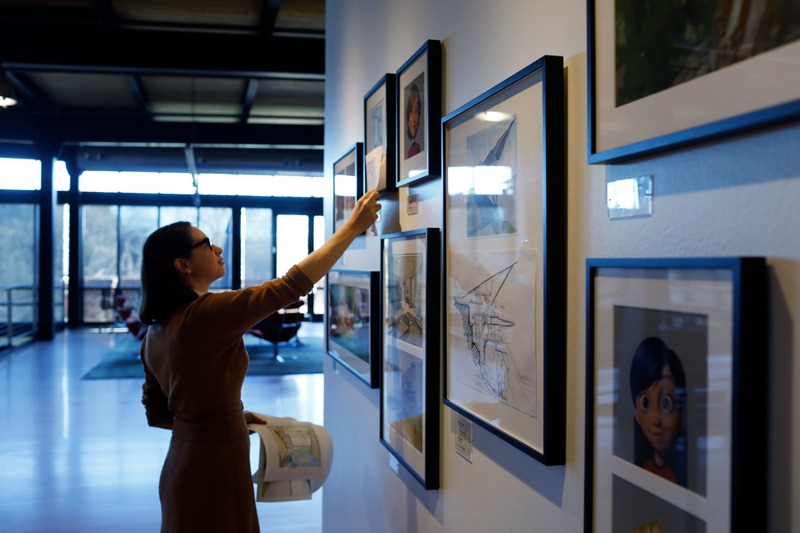 In between some of these interviews, we got a guided Pixar Studio Tour which was simply amazing. 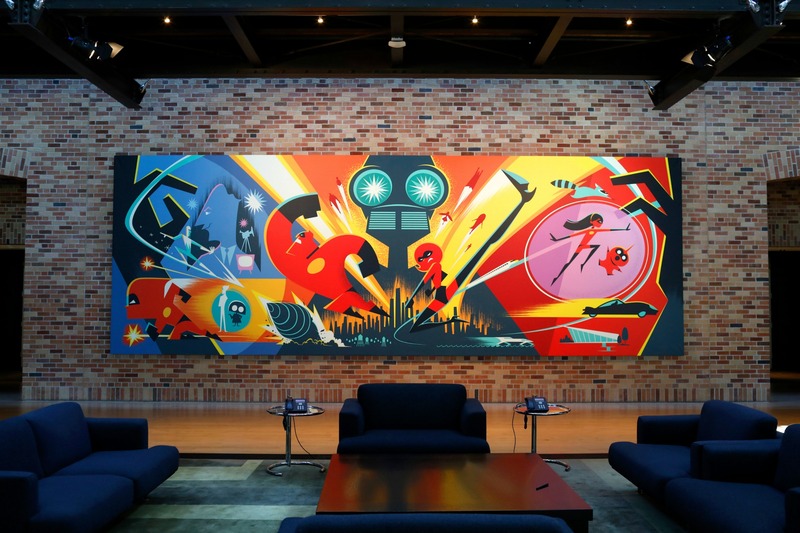 On the upper floor of the Pixar Studio’s, there was large areas that led to a brand-new art hallway featuring work from the Incredibles 2. 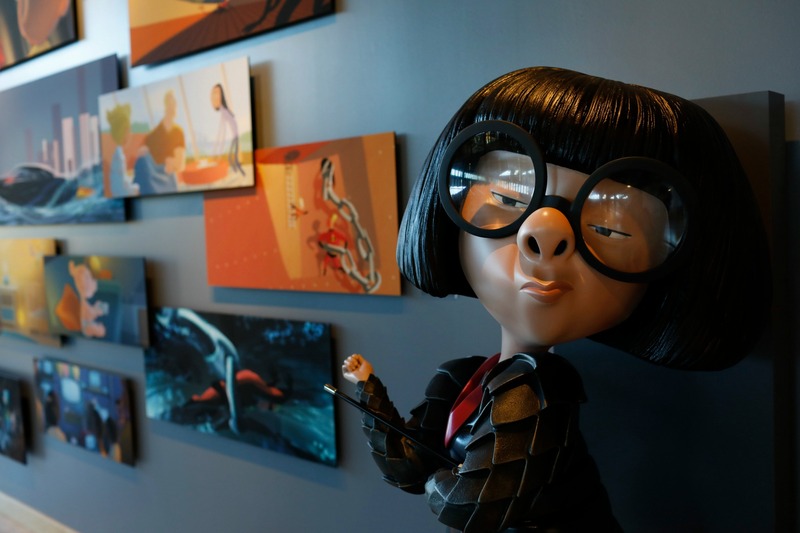 It was awe-inspiring to see just how much artwork they did for this movie including the various clay sculptures that were seen throughout the hallways. The clay sculptures of each of the characters was AMAZING! 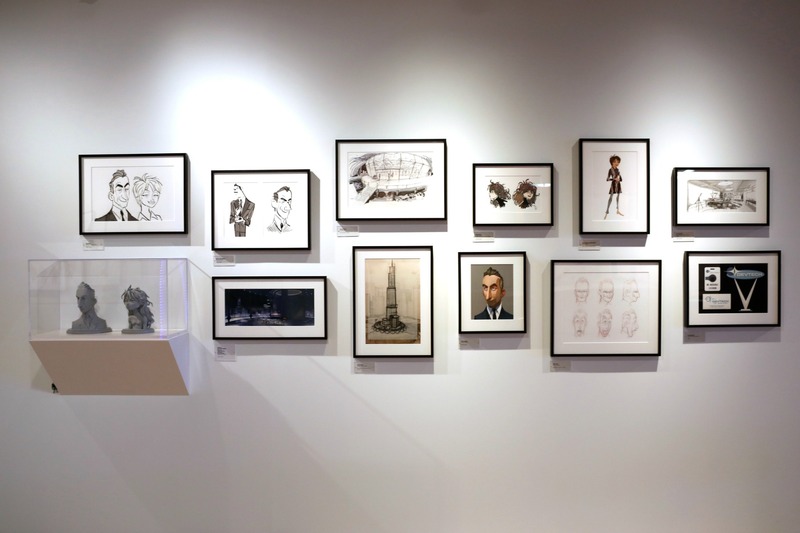 They also showed us a hallway of all the artwork dedicated to the massive hit, Coco. It was so informative and interesting to see all of this! 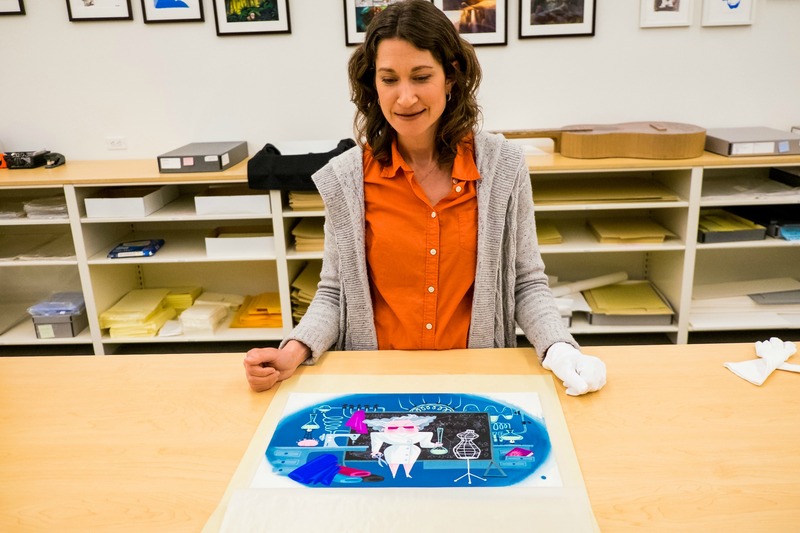 We also got to visit the brand new Archives tour which was something I have never seen or heard about before. 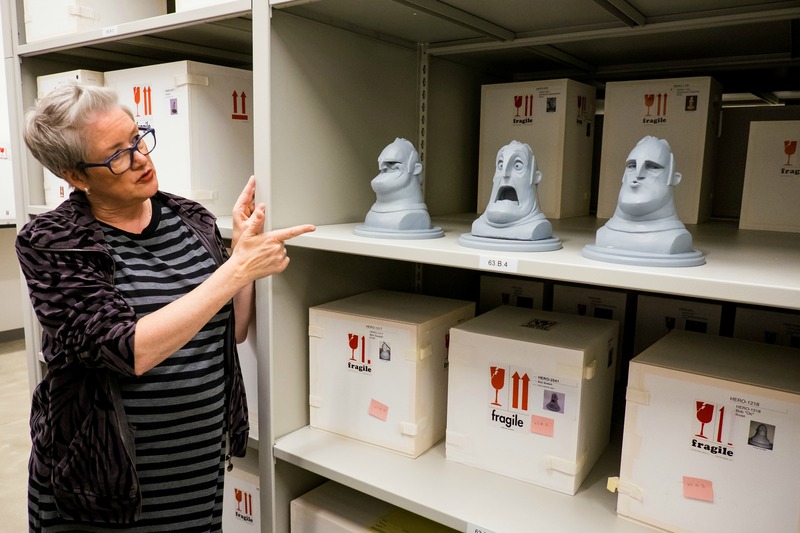 At the Archives, they have every single Pixar movie with basically everything from the movie from the animation sketches to the models to the reviews of the movies. 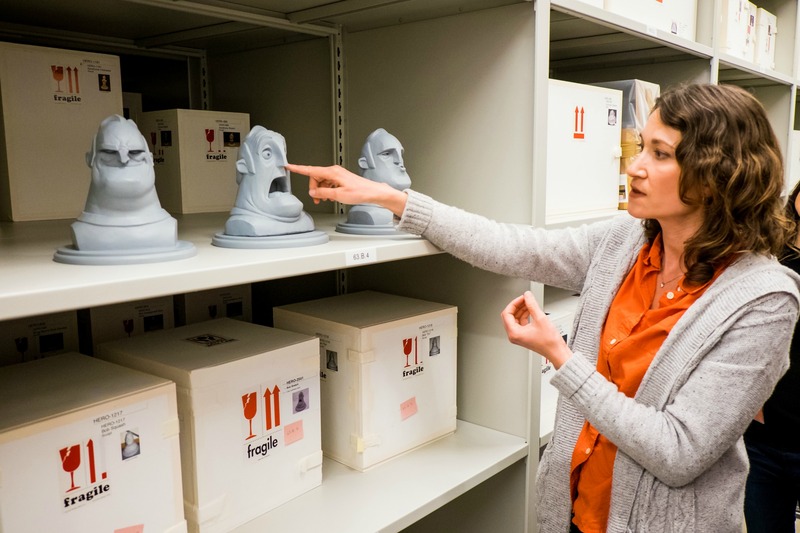 They are all kept in a library type place that is organized per movie. It was so sacred that the people in charge had to wear gloves when handling any of the documents. It was something that a normal fan would never be able to see in their lives. I was so grateful for this opportunity. 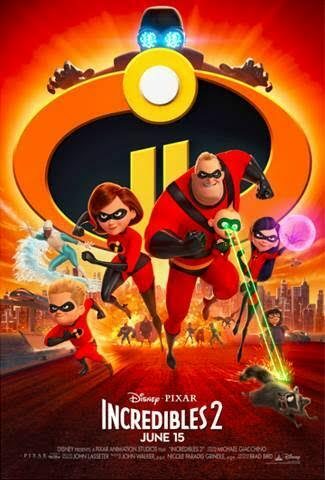 Incredibles 2 comes out June 15 so mark your calendars! I am going to the #InfinityWarEvent! Follow Along!